Wooly Whimsey By Connie Huddleston. 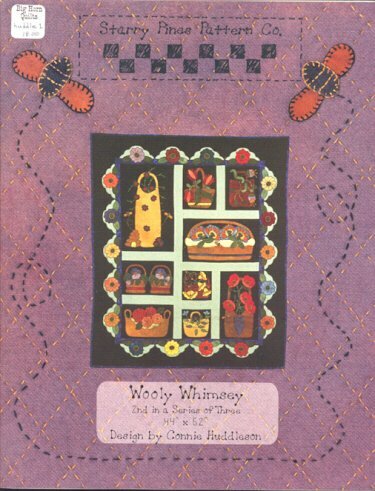 Books > Wooly Whimsey By Connie Huddleston. Wooly Whimsey By Connie Huddleston. The background is flannel. You applique the wool on it and embellish it with embroidery thread. Finished size is 44 x 52 inches.